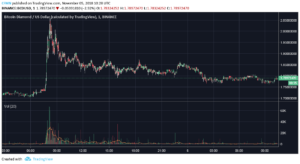 Crypto Market Watch Nov. 5: State of the Markets - Coinfomania Coinfomania: Where blockchain and cryptos live. 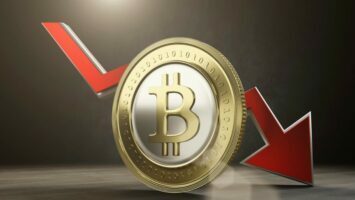 The general state of the crypto market at the start of this new week is defiling any claims of relative stability to put a smile on the faces of traders. During the last 24 hours, roughly $3-4 billion has been added to the total market cap of all cryptocurrencies. From the above plot, it is clear to see that most of the top cryptocurrencies are seeing gains on the day with only around 30% of the top 100 seeing slight losses. Data from Coinmarketcap shows that Bitcoin Diamond (BCD) is the most significant loser among the top 100 coins with over 6% drop in the last 24hrs. Moving on, major cryptocurrency Bitcoin has slightly dropped off from gains that it posted between Nov 3 – Nov 4. On the daily charts, the coin has increased by 1% to give a press time value of $6443. It is important to mention that the Bitcoin has continued the habit of not going above $6600 since October 17 while dominance among other coins has dropped slightly to 52.7%. After a series of layoff in the last couple of weeks, top altcoin ETH is among the coins who have escaped into the green zone. With a 4.11% increase on the day and $208 press time price, ETH has been above the $200 bear mark for more than 30 hours. 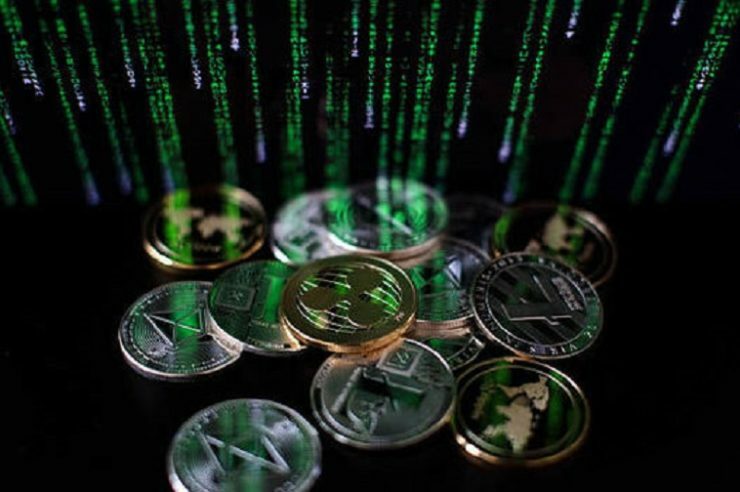 Among the top ten coins which include Ripple (XRP), Cardano (ADA), EOS, Stellar (XLM), Litecoin (LTC) and Tether (USDT), Bitcoin Cash (BCH) and Monero (XMR) are seeing above 4% gains on the daily charts. The reason behind Bitcoin Cash’s growth is the announcement by the second largest exchange Binance to support the upcoming hardfork of the coin. BCH has since then moved from around $461 to $560 in less than 72 hours. A large part of that growth was posted just after the Binance announcement while the exchange is reportedly the third largest handlers of BCH transactions according to CMC. The total market cap of all cryptocurrencies at press time is $211 billion. 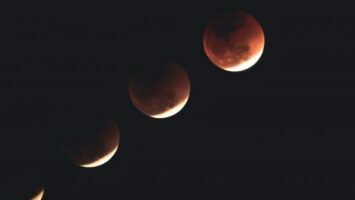 Bitcoin Moons to $4700 in less than 2 Hours; Will it Hold Above $4500?